VANCOUVER - The Kootenays are B.C. 's electric powerhouse, and the region is making significant advances to put electric cars on the road. The region's dams generate more than half of the province's electricity needs, but some say residents in the region have not taken to electric cars, for instance. Trish Dehnel is a spokesperson for Accelerate Kootenays, a multi-million dollar coalition involving the regional districts of East Kootenay, Central Kootenay and Kootenay Boundary, along with a number of corporate partners including Fortis B.C. and BC Hydro. She says one of the major problems in the region — in addition to the mountainous terrain and winter driving conditions — is "range anxiety." That's when you're not sure your electric vehicle will be able to make it to your destination without running out of power, she explained. 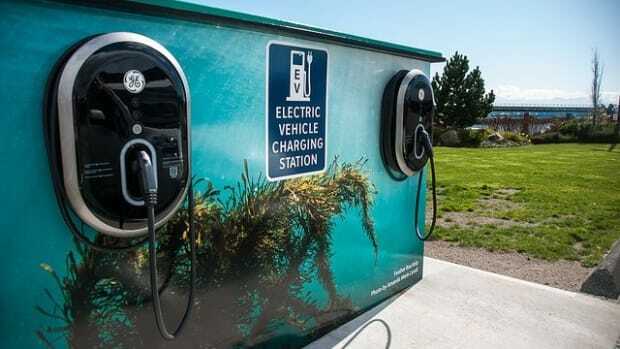 Now, Accelerate Kootenays is hoping a set of new electric charging stations along Highway 3 will make a difference. The expansion includes 40 Level 2 stations and 13 DC Quick Charging stations, strategically located within the region to give people more opportunities to charge up along their travel routes, Dehnel said. "We will have DC fast-charging stations in all of the major communities along Highway 3 from Greenwood to the Alberta border. You will be able to stop at a fast-charging station and charge your vehicle within 20 minutes," she said. Castlegar car salesman Terry Klapper — who sells the 2017 Chevy Bolt electric vehicle — says it's a great step. "I guarantee that you'll be seeing electric cars around the Kootenays," he said. "The interest the public has shown … [I mean] as soon as people found out we had these Bolts on the lot, we've had people coming in every single day to take a look at them and say when can I finally purchase it." The charging stations are set to open by the end of next year.